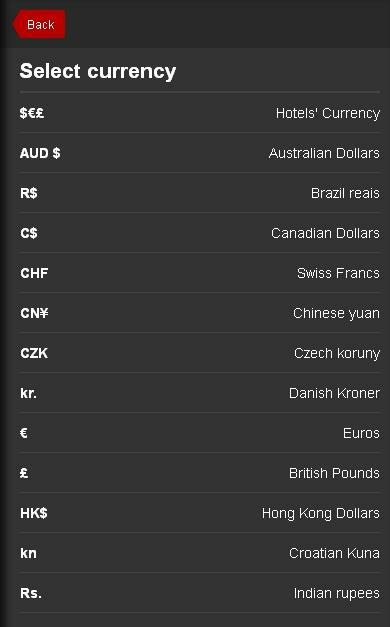 Live App for your ANDROID. The ultimate solution to find the VERY cheapest Hotel inSeattle(USA). Seattle is a coastal seaport city and the seat of King County,inthe U.S. state of Washington. With an estimated 634,535residents asof 2012, Seattle is the largest city in the PacificNorthwest regionof North America and one of the fastest-growingcities in the UnitedStates. The Seattle metropolitan area ofaround 4 millioninhabitants is the 15th largest metropolitan areain the nation.The city is situated on a narrow isthmus betweenPuget Sound (aninlet of the Pacific Ocean) and Lake Washington,about 100 miles(160 km) south of the Canada–United States border.A major gatewayfor trade with Asia, Seattle is the 8th largestport in the UnitedStates and 9th largest in North America in termsof containerhandling. The Seattle area had been inhabited by Native Americans foratleast 4,000 years before the first permanent Europeansettlers.Arthur A. Denny and his group of travelers,subsequently known asthe Denny Party, arrived at Alki Point onNovember 13, 1851. Thesettlement was moved to its current site andnamed "Seattle" in1853, after Chief Si'ahl of the local Duwamishand Suquamishtribes. Hello!we are an IT professional team since about twenty years, we developApps, Websites and Marketing to help you find new customers.put wings to your business!we translate/speak English, Italian, Spanish..Attention, others are Nothing! 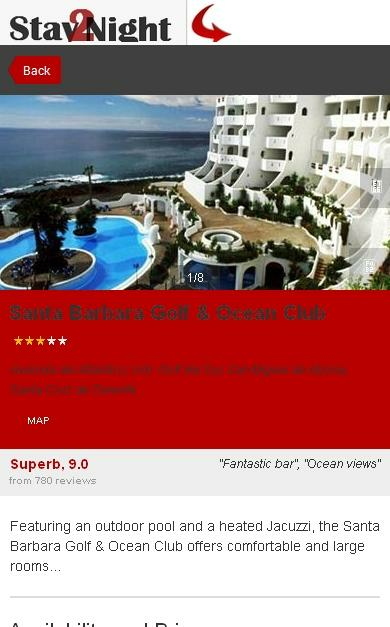 Live App for your ANDROID.The ultimate solution to find the VERY cheapest Hotel inCuba.Totally Free!! 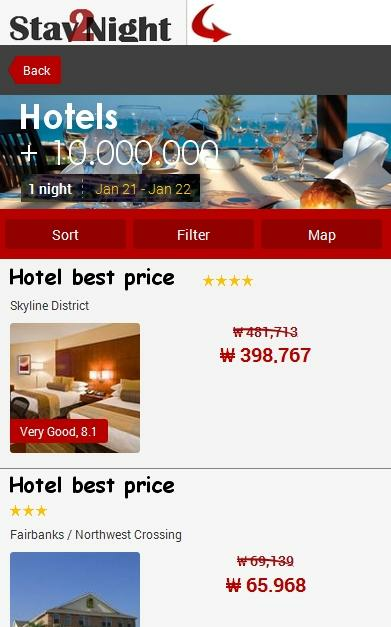 Live App for your ANDROID.The ultimate solution to find the VERY cheapest Hotel in Dubai(Emirates).Totally Free!! A dog whistle (also known as silent whistle or Galton's whistle) isa type of whistle that emits sound in the ultrasonic range,which people cannot hear but other animals can, including dogs anddomestic cats, and is used in their training.It was invented in 1876 by Francis Galton and is mentioned in hisbook Inquiries into Human Faculty and its Development,in which he describes experiments to test the range of frequenciesthat could be heard by various animals, such as a house cat. My PlayList is a free app that helps you to easily create aplaylistfrom youtube based on your personal likes.You can create playlists of different music genres, videos,moviesusing the parameters that you want and share it withyourfriends.With the "database - export" function you can save your databaseonyour phone and send it to a friend who will import it in hiscopyofMy PlayList instantly with your own preferred list ofmultimediacontents.If you want to share your playlists with the World, youshouldinsert it into a sharing site dbCanyon.com available toothers andseekamong those of other users playlist that you like. Download topo maps for an offline outdoor navigator! Use your phoneor tablet as an offroad topo mapping handheld GPS with thebestselling outdoor navigation app for Android! Explore beyond cellcoverage for hiking and other recreation. 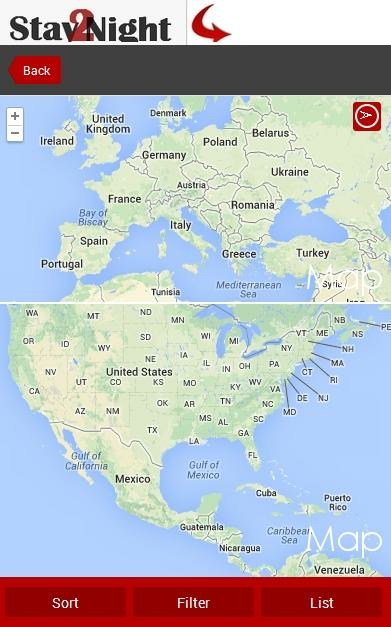 Download topo maps forthe US and many other countries in advance, so you won't need cellcoverage for navigation. Use storage memory for maps. New: AndroidWear support to see navigation at a glance on wrist Use GPSwaypoints from GPX or KML files, or enter your own coordinatesusing longitude/latitude, UTM, MGRS, or grid reference. Using GOTOmakes a waypoint a locus for navigation. This uses many publiclyavailable map sources as free downloads. Some additional contentavailable as an in app purchase: -Accuterra Topo Map Source for$19.99/year. This can be purchased and used with or in instead ofthe free sources. - Boundary maps for 12 western states from theBureau of Land Management(BLM) Overlay for topo maps valued byhunters. -GMU boundaries in some states -Lake Contours in severalstates. -Content from US TrailMaps including: -ATV, Whitewater, andEquestrian Trail Maps See the menu under More-> "PurchasingAddOns". They can be shown on top of topo maps. 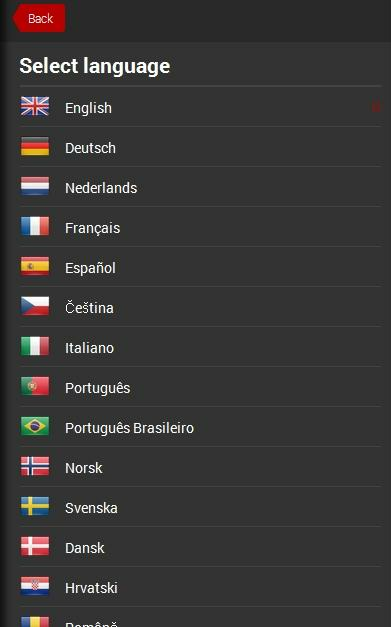 You may try theDEMO version to make sure you like the maps in your country. Abouttopo (topographic) maps: Topo maps show terrain through color andcontours, and are useful for navigation offroad. Topo maps and GPScan be used for hiking, hunting, kayaking, snowshoeing, &backpacker trails. You can create your own maps with Mobile AtlasCreator, or specify a custom tile server. Built in sources include:OpenStreetMaps from MapQuest OpenCycleMaps showing terrainworldwide US Topo Maps from Caltopo and the USGS USTopo: AerialPhotography with markup. Canada Topo Maps from Toporama Marinemaps: NOAA RNC Nautical Charts (coastal) USGS Color Aerialphotography Topographic Maps of Spain and Italy Topo maps of NewZealand Japan GSI maps. Many of the above sources are generallyfree to use. Use offline topo maps and GPS on hiking trails withoutcell service. The GPS in your Android phone can get its positionfrom GPS satellites, and you don’t have to rely on your data planto get maps. Have more fun and safe GPS navigation in thebackcountry. Use as a geocaching navigator by getting a pocketquery as GPX. Besides geocaching, use GPS for recording tracks andGPS waypoints on your trip, all the while tracking your GPS queston topographic maps. It may replace your Garmin handheld GPS. Hereare some of the outdoor GPS activities BackCountry Navigator hasbeen used for: As a hiking GPS both on hiking trails and off trail.Camping trips to find that perfect camping site or the way back tocamp with GPS. Hunting trips for hunting wild game in rugged areas.Doing recon for a hunt or as your hunting GPS Fishing: make it yourfishing GPS. Search and Rescue (SAR). Trekking the Pacific Cresttrail or other long term hiking. Kayak and canoe treks on inlandlakes and streams or marine, coastal waters. Backpacker trips:using topo maps of wilderness areas and national forests fornavigation on trails with the GPS in your rucksack or backpack.Find your own ways to have fun in the outdoors. Be a maverick byventuring beyond cell service boundaries with your GPS. Become apro at navigation with GPS for the outdoors. BackCountry Navigatorhas been on WM devices and preloaded on the Trimble Nomad outdoorrugged device. This Android version is more flexible, featured, andfun. Create a memory with maps. For a one time fee, this a greataddition to the outdoor gear you bought at Cabelas, REI, or anotheroutdoor store. Many have found the Android GPS in a phone or tabletto substitute for a Garmin GPS or Magellan GPS, such as the GarminGPS units Montana, Etrex, or Oregon. Android can be your handheldGPS. This App designed especially for those Visiting or living on OrcasIsland. Orcas Island in the San Juan Islands off the coast ofWashington is the perfect place for that special get away be itwith the family or a romantic retreat. Come and escape the day today grind on Orcas Island where a world of beauty is just a ferryride away. This Interactive App was designed to be used online aswell as off since paradise doesn’t always have the need for cellservice. Within this App you’ll find everything you need in oneplace:• Places to Stay• Where to eat• What to do• Washington stateFerry schedule links Are you an Orcas Island ARTIST or BUSINESS anddon’t see your listing in the app but want to, if so please Visitmy site to contact me or shoot me an E-mail. 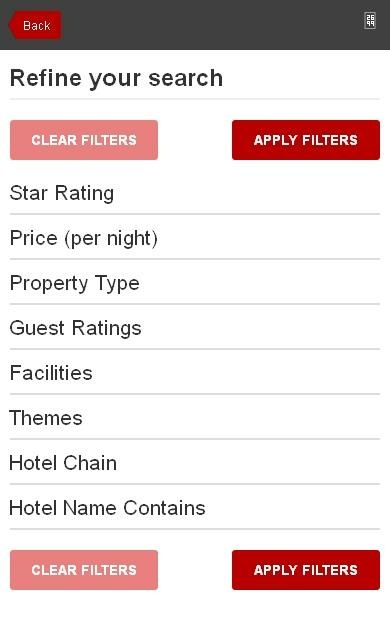 HotelForYou app gathers all Louvre Hotels brands: Campanile,Kyriad, Premiere Classe, Tulip Inn, Golden Tulip and Royal Tulip ina single mobile application. Find your ideal stay for your nexttrip among 1,100 one to five-star hotels through 51 countries atthe best price guaranteed!SEARCH FOR HOTELS:• Save up to 30% onhotel rates through Special Offers, Promolidays Offers, and more•Find a nearby hotel for tonight • View all available hotels in aninteractive map and choose the one that best suits your needs andbudget• Choose your hotel: see hotels main features and services,read the last TripAdvisor reviews, compare the rates.• Contact anhotel by phone in one click• Check room stock availability inreal-time for each hotelBENEFITS OF HOTEL FOR YOU MOBILE APP:• Findyour next hotel reservations• Read press and magazines for free onyour mobile with My Kiosk• List your favorite hotels• See the lastbrowsed hotels • Receive a booking reminder the day beforecheck-in• Get exclusive benefits with PassForYou discount cards:get a 10% discount 7 days a week on all rates, includingpromotions!Hotel For You is also compatible with Android Wear.Discover new functionalities that meet your mobility needs:•Consult your reservation at a glance• Receive a push alert 24hbefore your arrival• Quickly access to your hotel detailedinformations (address, services, interactive plan)• ActivateGPS to guide you to your hotel• Find nearby hotels for tonight andbook a roomDo you like the APP? Please let us know! Make a Hotel Reservation at the Best Ratewithin minutes, Guaranteed!- Save up to 80% on your hotel booking. Compare and book hotelseasily by searching multiple hotel providers at once all within ourhotel and travel app!- BEST RATE GUARANTEE- Book a Hotel FAST and EASY- Reserve from over 200,000 hotels in 200 countries.- Your hotel booking is confirmed immediately by email- Search for hotels easily by using price and star filters sortingby price or distance, and viewing other user's reviews andratings- View hotels on a map. Book a Hotel, Bed and Breakfast, Apartment,Hostel and more..- Need a last-minute hotel deal for tonight? No problem, get thebest lastminute discounts!Additionally you have a FREE TRAVEL GUIDE with MAPS, the mostup-to-date information on cities, holiday destinations, and manyplaces which are often forgotten by conventional travelguides.- A great way to discover and learn about your home town or a placeyou are visiting!- If you like Wikipedia, you'll love this travel guide: a fun wayof reading Wikipedia articles for places near you.The Hotel booking: hotels can automatically center on your currentlocation (3G/WIFI or GPS if enabled) or you can search places orscroll the map and refresh the POI's to unveil new locations andtheir Wikipedia article.Find the best deal hotel in your current location.You will find POI's in the 5 continents, Europe, America, Africa,Asia, Oceania, and in the most visited countries of the world likeFrance, United States, China, Spain, Italy, Turkey, Germany, UnitedKingdom, Russia, Malaysia, Japan, South Korea, Thailand, Austria,Greece, Australia, Canada.You will find POI's in the most visited cities in the world: Rome,Paris, London, Beijing, Berlin, Shanghai, Bali, Barcelona,Istanbul, Venice, Florence, Bangkok, New York City, Prague, Madrid,Marrakech, Phuket, Budapest, Santorini, Blackpool, Cape Town, NewDelhi, Edinburgh, Gran Canaria, Buenos Aires, Melbourne, Milan,Krakow, GuangzhouAll-in-one app for tourism! * Find and reserve a hotel with the best deal. * Check your flight info. * Free Travel Guide: discover places of interest near your locationusing your phone's GPS, Google Maps and Wikipedia!Make a hotel booking now! The Official Guide for Washington State Parks Pocket Ranger® apphas gotten a total makeover! This FREE all-inclusive outdoor guidewas created in a collaborative effort between Washington StateParks & Recreation Commission and ParksByNature Network®, andthe next generation of the app is better than ever.Powered byPocket Ranger® technology, the app gives outdoor enthusiasts anenvironmentally friendly way to enjoy the parks. It containseverything you need to plan a trip to the state parks, navigatethem once you get there, and share your experiences afterward.Newly added features:•New user interface (UI) with a sleek, morephoto-centric home screen design. •Photo galleries on each parkdescription page. •A new Explore feature to optimize searchcapabilities, allowing a 4-in-1 search by location, activities,category, and site name, making it easier to find the perfectrecreational destination. The app still has rich GPS features, suchas:•Advanced GPS Maps, complete with an accuracy and distanceindicator, which allow you to access trail data, record tracks fromhikes, runs, or bike rides, and view elapsed time and distancetraveled. •Easy-to-cache GPS Terrain Map tiles, which ensure thatnavigation remains possible in the event of lost mobilereception.•Photo waypoint feature allowing you to snap a photo andmark and record the coordinates of plant life, animal species orlandscape views. Post or share these remarkable finds with familyand friends with the click of a button.•Friend Finder feature thattracks friends and family around the parks.•Built-incompass.•Potentially life-saving Alert feature that supplies GPScoordinates to designated contacts in case of an emergency. Otherstandard features make exploring the great outdoors abreeze:•Thorough information on all state parks including generalpolicy, contact information, activities, trails, park maps and muchmore.•Detailed, cacheable maps of park facilities, trails andcampgrounds. •Up-to-date news, park advisories and weatherinformation.•Sharing features for sharing current positions,waypoints and recorded tracks via Facebook, Twitter, or email. •Areal-time Calendar of Events.•Access to online reservations thatmake it easy to secure overnight visits. •Plus so much more!Withthe Pocket Ranger® in hand, prepare to bask in the vast naturalwonders of Washington State Parks!•The enhanced pro features on theapp are designed to function in areas with little to no mobilereception; however, some of the features require mobile datareception in order to function properly.•Continued use of GPSrunning in the background can dramatically decrease battery life.